Pony Express, a Russian logistics company, expects to operate in Azerbaijan and earn $3 million here annually, Company’s Regional Development Director Sergey Sergushev said at a presentation of the Pony Express development strategy in Baku. He noted that the main goal of the company is to get a 10-percent share in the logistics market of Azerbaijan. "Azerbaijan is a strategically important market for us, as major transport and logistics projects are being implemented here - the Trans-Caspian transport route, the North-South corridor, and a free trade zone is being set up. We not only appreciate the transit potential of the country, but we also see the need of Azerbaijan's business in complex logistics services. This is why we opened a representative office in Baku and entered the local market. In three-year perspective, from operations in Azerbaijan, the company forecasts annual revenue at the level of more than $3 million," told Sergushev. "For the coming year, we plan to stabilize our operations here and settle on the market, offering express and economic delivery services, as well as helping with customs clearance. 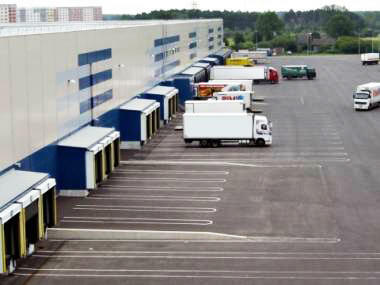 In the future, we do not exclude the option of creating warehouse capacities in the country, its logistics center, which, possibly, will be in free trade zone, which is being created in the city of Alat, where we have already been and got acquainted with the situation," Sergushev added. He went on to say that the prices for services will be on average 20 percent lower than in other companies. The company's price policy was determined after a detailed analysis of the local market, according to him. Pony Express is developing a platform for economical delivery by road to the countries of the post-Soviet space. This new service for the Azerbaijani market will save up to 30 percent of the express delivery rate. He noted that in the near future the company plans to expand its network of offices in Azerbaijan by opening branches in Ganja and Sumgayit. Azerbaijan is one of the main economic partners of Russia among the CIS countries. Interregional cooperation plays an important role in the development of Russian-Azerbaijani trade and economic relations and the increase in trade turnover. At present, enterprises of 71 regions of the Russian Federation cooperate directly with Azerbaijan. 15 regions of Russia have relevant agreements with Azerbaijan on trade and economic, scientific, technical and cultural cooperation. The trade turnover between Russian and Azerbaijan amounted to almost $2 billion in 2016.